Four new signings have just been added to Fantasy Premier League, and Brighton & Hove Albion's new midfielder could prove an interesting option for managers. 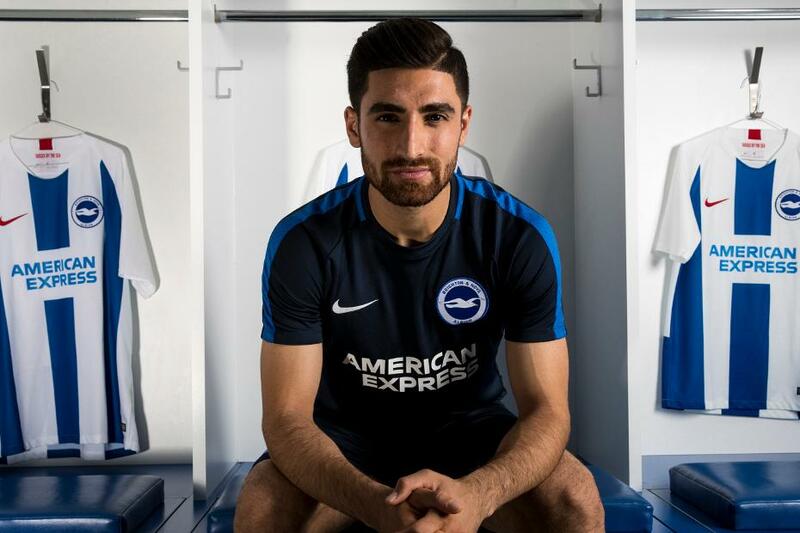 Brighton's exciting Iran international can be a new midfield FPL contender. He arrives from AZ Alkmaar as last season's top-scoring player in the Dutch Eredivisie. Playing on the right of a 4-3-3 formation, Jahanbakhsh produced 21 goals and 12 assists in 33 league appearances. He is expected to occupy a similar position in Brighton’s 4-4-1-1 set-up under manager Chris Hughton. The underlying statistics show that the Seagulls’ new signing is a major goal threat. His total of 144 shots was identical to Mohamed Salah (£13.0m) last season. And only the Liverpool winger was more accurate among FPL midfielders, firing 67 shots on target to the 62 of Jahanbakhsh. The Iranian also excelled as a supplier of scoring opportunities. His total of 80 chances created was only two fewer than his new team-mate Pascal Gross (£7.0m). But it is Gross who is expected to remain Brighton's first-choice player for dead-ball duties. That is because his 38 chances created from set-pieces last season were more than any player. By comparison, Jahanbakhsh created a single chance from a set-piece. Having placed 11th among FPL midfielders last season with 164 points, Gross remains Brighton's most popular player and is owned by 11.7 per cent. But Jahanbakhsh’s all-round attacking potential can make him a significant alternative in the mid-price midfield bracket. There is a downside, however, to backing players from the south-coast side from the start of the season. That is their testing run of opening opponents. Only two of Brighton’s first seven matches score less than three in the Fixture Difficulty Ranking (FDR). This suggests that investment in Hughton’s key players should be considered from Gameweek 8, when the schedule becomes more encouraging.